Bass-baritone Brandon Cedel, a recent graduate of the Metropolitan Opera’s Lindemann Young Artist Development Program, is currently an Ensemble member of Oper Frankfurt. His roles with the company in the 2017-18 season include multiple new productions, including Argante in Rinaldo, A Prisoner in From the House of the Dead, Dio in Il Serpente di Bronzo, and the bass-baritone part in a new commission titled A Wintery Spring, composed by Saed Haddad. He will also sing Donner in Das Rheingold and Lieutenant Ratcliffe in Billy Budd. In addition, he will appear in January with the BBC Philharmonic at a concert featuring Bernstein’s Songfest, conducted by David Charles Abell. Mr. Cedel joined the ensemble of Oper Frankfurt in the 2016-2017 season, where he performed Ariodante in a new production of Handel’s Serse, Masetto in Don Giovanni,and Achior in a new production of Mozart’s Betulia Liberata. Additional engagements last season included a return to Opera Philadelphia in the title role in Le Nozze di Figaro, and a return to the Glyndebourne Festival as Leporello in Don Giovanni as part of the company’s autumn tour. Highlights of Mr. Cedel’s recent seasons include performances at the Metropolitan Opera of the Porter in Shostakovich’s Lady Macbeth of Mtsensk under the baton of James Conlon and a Flemish Deputy in Sir Nicholas Hytner’s production of Verdi’s Don Carlo under the baton of Yannick Nézet-Séguin; his UK and company debut as both Masetto and Leporello with the Glyndebourne Festival’s production of Don Giovanni conducted by Andrés Orozco-Estrada; his company and role debut as Isacio in Handel’s Riccardo Primo with the Opera Theatre of St. Louis; and his Kennedy Center debut recital with the Vocal Arts Society in Washington, D.C. He made his Metropolitan Opera company debut in their Summer Recital Series and his house debut as a Watchman in Strauss’s Die Frau ohne Schatten. Recent orchestral engagements include Beethoven’s Symphony No. 9 with the Russian National Orchestra conducted by Vladimir Jurowski at the Napa Valley Festival del Sole, the role of Panthée in a concert performance of Berlioz’s Les Troyens conducted by Charles Dutoit, and Schuman’s The Pilgrimage of the Rosewith Le Festival de Lanaudiere. 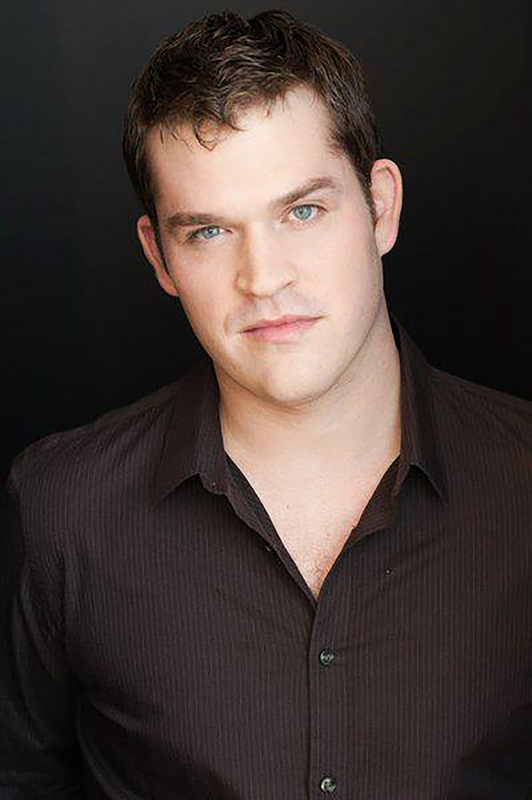 He is a recipient of the 2015 Richard Tucker Career Grant, as well as the 2013 Grand Finals winner of the Metropolitan Opera’s National Council Auditions, a 2012 winner at the George London Awards, and a recipient of the Sullivan Award from the Sullivan Foundation and the Sara Tucker Study Grant from the Richard Tucker Music Foundation. He was also the first-place winner at the Giulio Gari Foundation Competition, Palm Beach Opera Vocal Competition, S. Livingston Mather Scholarship Competition, and Sue Goetz Ross Memorial Competition. In 2011, he was the Grand Prize winner at the Gerda Lissner International Vocal Competition. He has also received awards from the Liederkranz Foundation Vocal Competition, Licia Albanese-Puccini Foundation, Loren L. Zachary National Vocal Competition, Opera Index, Letters and Arts Foundation, and the Mario Lanza Competition. Mr. Cedel has performed with the Wolf Trap Opera Company, Gotham Chamber Opera, Opera Company of Philadelphia, Curtis Opera Theater, Opera Santa Barbara, Music Academy of the West, Opera Orchestra of New Festival, Royal Opera House Oman, and the Chautauqua Institution. He has also worked with such orchestras as the Los Angeles Philharmonic, Philadelphia Orchestra, and Hershey Symphony. He has been heard in recital and concert with Chicago’s Music in the Loft, the William Walton Estate in Ischia, the Castleton Festival, Tri Counties Association, Longwood Gardens, the Richard Tucker Music Foundation, the Cleveland Men’s Chorus, the Haverford Singers, and the Over the Rainbow Foundation. Mr. Cedel received his Bachelor and Master of Music degreesfrom the Curtis Institute of Music. He was also a student at the Music Academy of the West, the Chautauqua Institution, and the Juilliard School’s Pre-College Division. Mr. Cedel is originally from Hershey, Pennsylvania.